Trevor Waugh is an internationally renowned and highly regarded British Artist, his paintings can be found in many private and royal collections around the world. 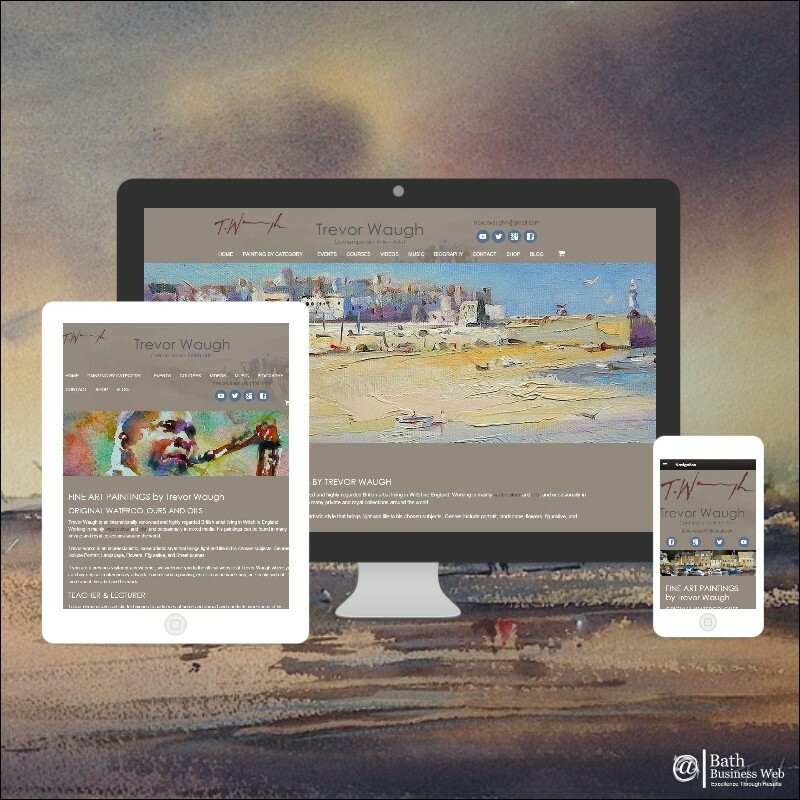 Trevor is a fantastic Artist and we felt honoured to be working with him, we really wanted to create the best possible website to portray his art, we knew understanding the nature of Trevor’s business was the core to getting this website right. Aesthetics were high on the agenda, with the images of Trevor’s work needing to look perfect but loading quickly, this meant creating small images without degradation. Trevor’s work sells internationally and his E-commerce site needed to understand the variables and logistics connected with purchasing and shipping worldwide. Trevor undertakes many artistic events and shows worldwide, he also runs a successful YouTube channel. Understanding how these activities affect his website traffic is key to understanding how we can improve his future online presence, close analytical tracking is, therefore, essential. Adrian couldn’t wait to get his hands on this project having studied fine art himself he had a good understanding of the art world. Through their various meeting’s Adrian and Trevor became good friends, with Adrian sensitively creating a site that works on many levels, encompassing Trevor’s art and music, allowing the user to understand Trevor, find information about workshops and easily purchase artwork. It was also important for Trevor to be able to regularly amend and update his site with new artwork or remove purchased pieces. We love the finished site and have loved working with Trevor and Darlas and look forward to their future visits.